A stable, stylish, and lightweight SUP. 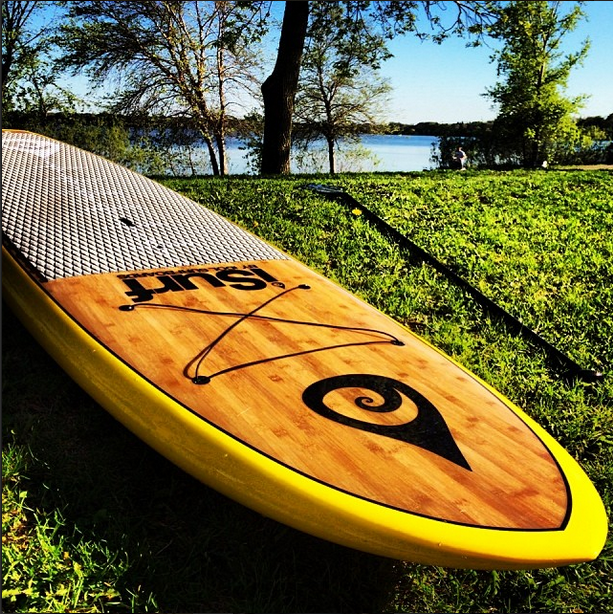 The Aloha Cruiser is our top-selling stand up paddle board. This year the Aloha Cruiser shape is available in four options of finishes: Basic fiberglass, bamboo deck, or limited edition full carbon-fiber/bamboo. The iSurf Aloha Cruiser Stand Up Paddle Board is our flagship SUP, and a great way to introduce you and your family into paddle boarding. 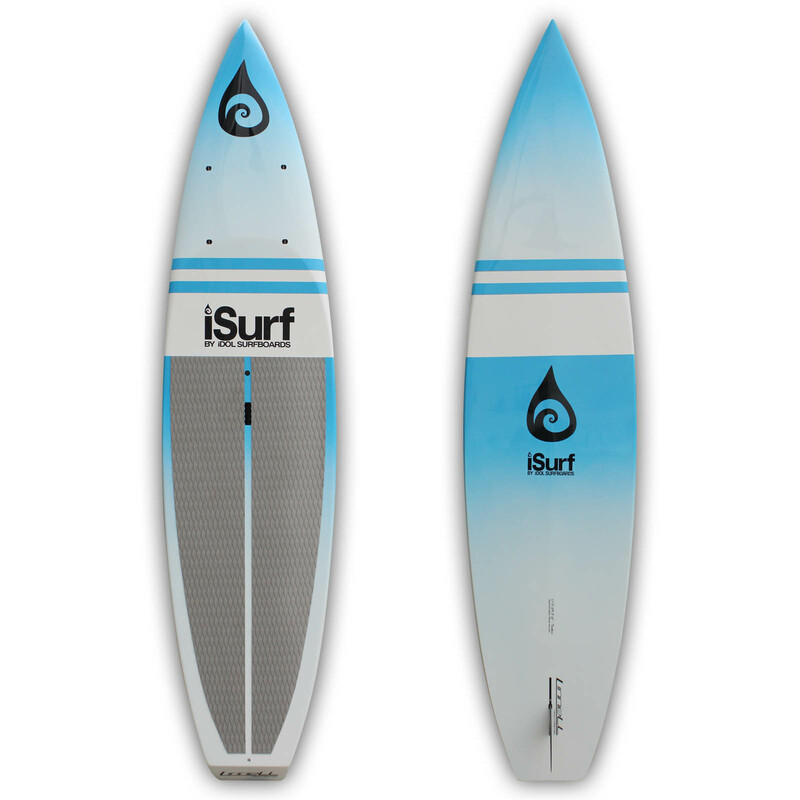 This surfboard is designed to be stable and quick upwind, downwind or in flat water. The Aloha Cruiser is designed primarily to be an efficient flat water paddler, but it can also be surfed. It is a great all-around board for beginners up to 195 pounds. This board measures 10’6″ in length and weighs only 25 pounds. By using EPS/Epoxy construction and a layer of real bamboo, we are able to minimize weight and maximize durability. This board is laminated with two layers of 6-ounce fiberglass plus one layer of four-ounce fiberglass on top and bottom, with all layers lapping the rails, plus resin-infused bamboo on the deck. 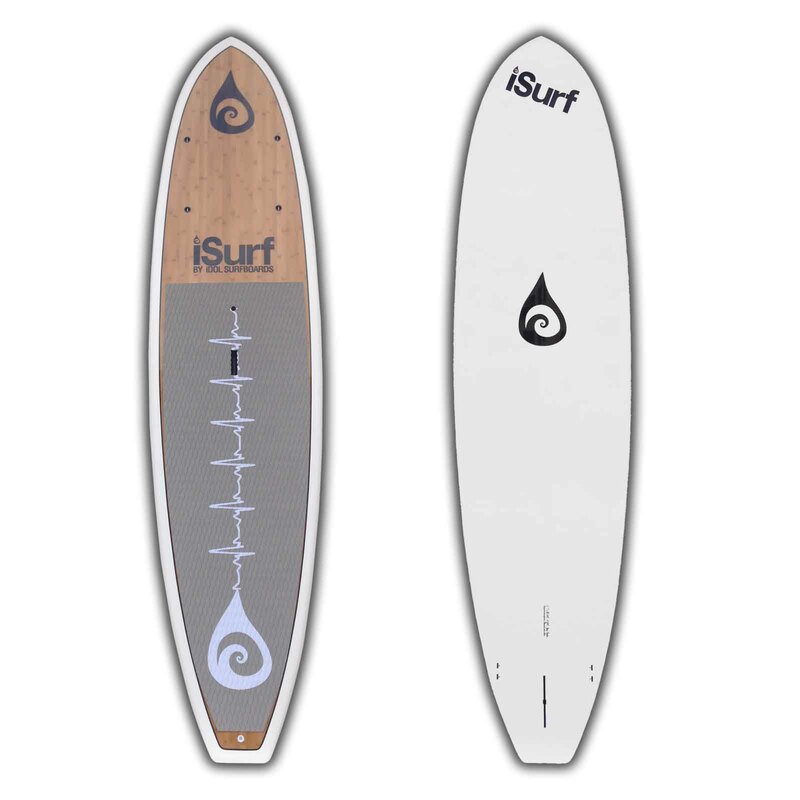 The result is 32-ounces of fiberglass lapping the rails and a bamboo reinforcement on the deck, guaranteeing strength in the areas of the board most susceptible to damage (nose, rails, tail and deck) and ensuring along life for your SUP.